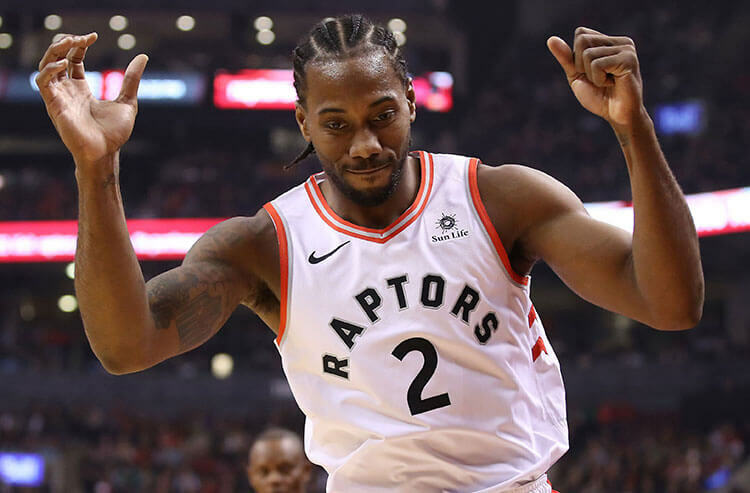 Sunday’s NBA slate features seven games, headlined by the Toronto Raptors, without superstar Kawhi Leonard, heading to Los Angeles to take on the Lakers. The 76ers have not been good at defending opposing power forwards allowing them to score 28.2 points per game and shoot 54 percent from the floor. Although they lost his first game back 134-111 to the Thunder at home Friday, Howard still contributed 20 points on seven of eight shooting. Although both teams, at times, can have trouble putting up points, taking Over the 206 looks intriguing as the total is very low. The Timberwolves are still in search of their first road win of the season, and they are hoping to find it as they travel to Portland to take on a 6-3 Trail Blazers team. The Raptors hope to extend on their 8-1 record as they travel to Los Angeles to take on the 3-5 Lakers fresh off a winning performance last night.